UK readers, mark your calendars. 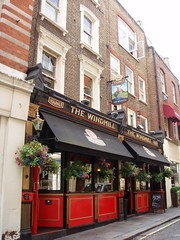 On October 16th in London, industry professionals will be gathering with Inman News publisher Bradley Inman at 6pm at the Windmill Pub in Mayfair. It’s being hosted by the good folks at Nestoria and you can read more about the gathering on the following blogs: Nestoria Blog, theRatandMouse, Globrix Blog and Renthusiast. We hope to see you there! If you have any questions about any of these events; please feel free to email joel [at] inman.com.